Joining Lovano on stage will be his Classic Quartet bandmates: Lawrence Fields, piano, Peter Slavov, bass and Lamy Istrefi, drums. Lovano’s career has been defined by his creative efforts to find new modes of artistic expression and new ways to define the jazz idiom. With his bandmates, Lovano explores the rich history of mainstream jazz through swing and bebop, driving the edges while honoring the structures of straight-ahead jazz. A 12-time Grammy Award nominee, Lovano won the trophy in 2000 in the best large jazz ensemble album category for his work on “52nd Street Themes.” That same year, he topped both the readers and critics polls in DownBeat magazine as tenor saxophonist of the year. 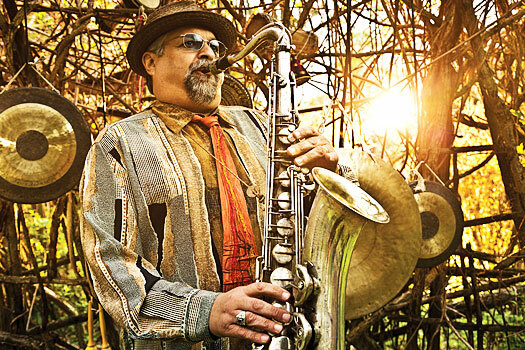 DownBeat named Lovano its jazz artist of the year twice, including 2010 when he captured the magazine’s “triple crown”: tenor saxophonist, jazz artist and jazz group (Joe Lovano Us 5) of the year. His discography includes 28 albums as leader and more than 50 others as either co-leader or sideman. Lovano has taught as the Gary Burton Chair in Jazz Performance as an artist-in-residence at the Berklee Global Jazz Institute in Boston.